Months ago, I got a chance to get involved in a trend symposium in Bangkok,Thailand. It was a kind of knowledge festival in smaller version. Eventhough many speakers are colour and concept design experts from Thailand , they also highlighted the conference with the experienced professional forecasters like Ms. Ornella Bignami from Elementi Moda, Milano and Mr. Olivier Guillemin from Comite Francais de la Couleur, France. Both of them came with an extraordinary forecasts of Lifestyle and Beauty Trend 2014. However, the presentation that blew my mind is the Future beauty concept from Mr. Guillemin. He concluded a long-term beauty trend after he finished describing a general 2014 beauty directions. It was fascinating to see what beauty could be meant in the future. How we could possibly change in difference perspectives. From the presentation, there were 7 beauty perspectives that could happen in the long term scenario. The first direction is called ‘Supernature’. 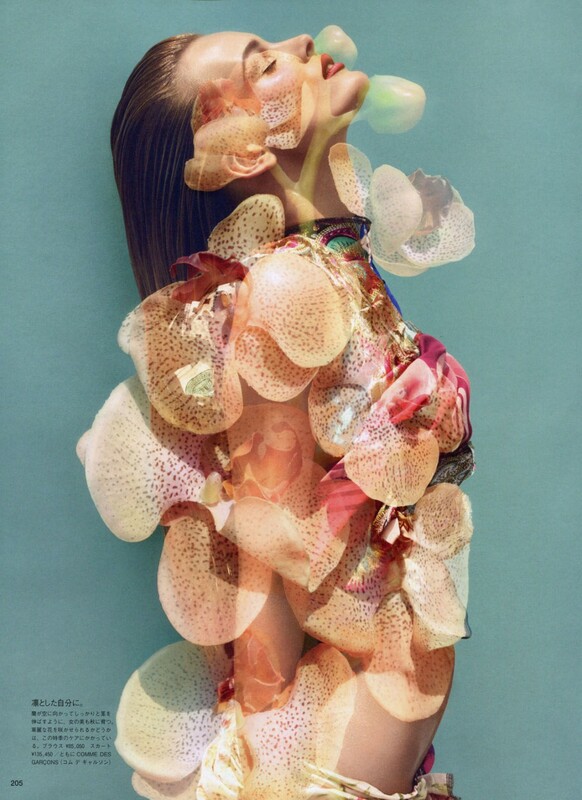 With a biometic inspiration, this trend doesn’t seem too natural-like but more in a bio-techno way. As we have been heard a lot about ‘Next nature’ , ‘Hyper nature’ or ‘New nature’ , what ever you call it , it’s about the Change in all over environment , new shape, new color , new form made by nature. 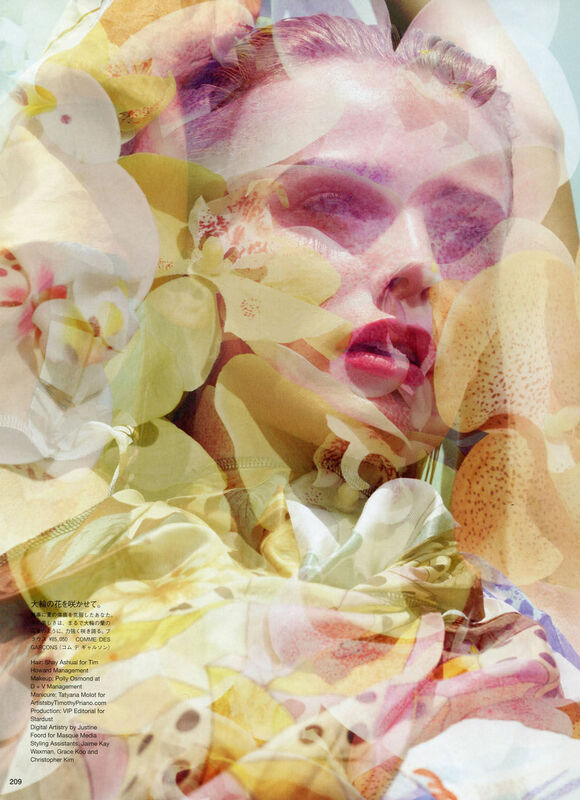 So, when it converts into cosmetic approach, Supernature can be technological make up developed from natural colors. It can be more imaginative such as changing color pigment that turns your skin color like a lizard. Lighting Reflection is also still important to cosmetic industry. What if all the reflects can develop from natural matter? For example, there is now a research about technology that grinds the leftover Mussel shell into a very small pixels and it can be developed to blend in cosmetic combination with no side effects plus super cheap cost. Cross culture, mix culture and multi culture have never disappeared from global trend. Besides, it will stay as long as the world will be together as one. The mixture of identities topic has been incorporating to various kinds of creativity and artistic idea. It is the world we are living everyday and the future world that everybody can exchange their own culture they have been carrying and traveling to any place in this world. To summarize into beauty trend, the future culture shock could be something extreme like body paint. When identities become more frequent. No one is similar to another. Just paint it over , make your face up as a work of art, it might be another beauty solution to identify ourselves. The third trend future idea is about adding Luxurious into cosmetic that women could not deny. The imagination of combining real precious material into cosmetic would be more hazardous. 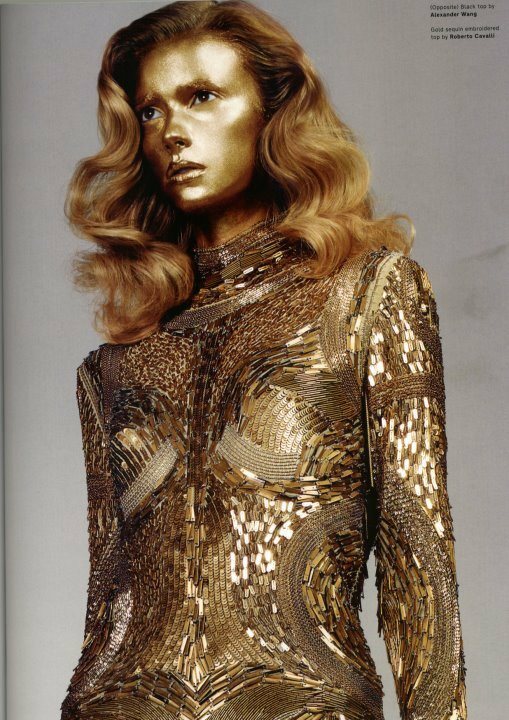 Not only just a shade of gold eye shadow, some sparkling pigment in your bronzer or removable mask but it will be in a higher level of gold on your everyday skin. 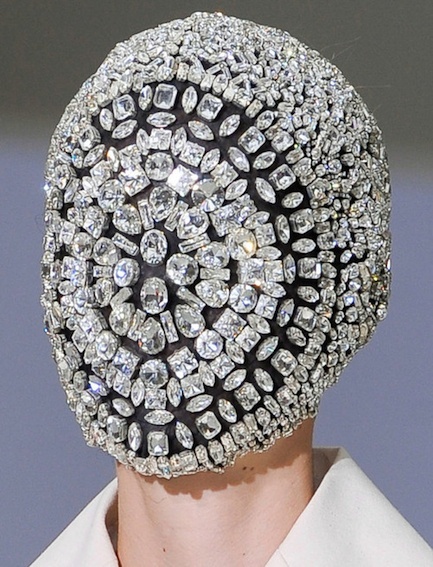 For diamond, you might have seen Maison Martin Margiela’s diamond mask on his haute couture performance. It would be another step for future mineral contained cosmetic that can actually perform diamond finish effects. This seems to be a closer future after many runway shows have glamorized their make up by using Swarovski crystal to eyes such as Dior S/S 2013 runway make up. After that, crystal has turned to a must-do party make up. All the mentioned 3 beauty trends are the directions which I think I can see the possibility to become real in the future. The next 4 remains are more futuristic beauty idea that I think I should hold it for the next article.